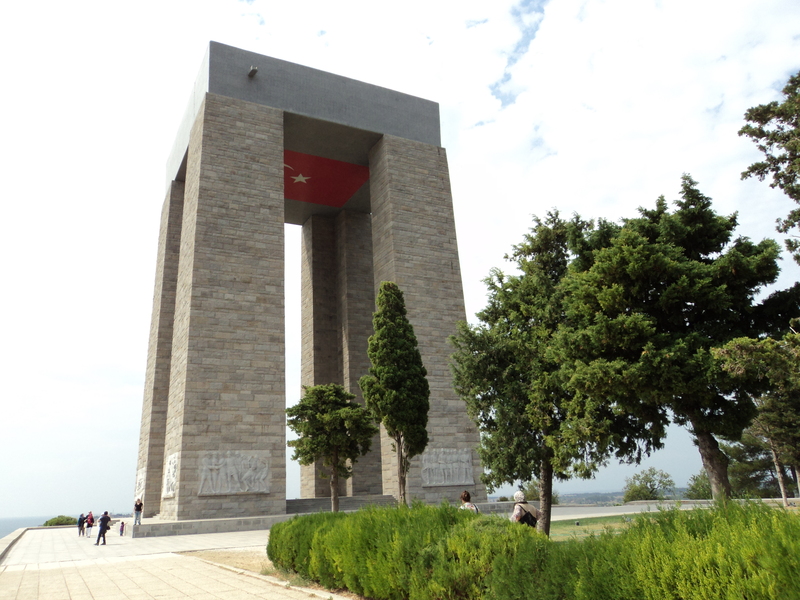 Çanakkale Martyrs Memorial was completed on 15th March 1958 and officially opened on 21st August 1960. 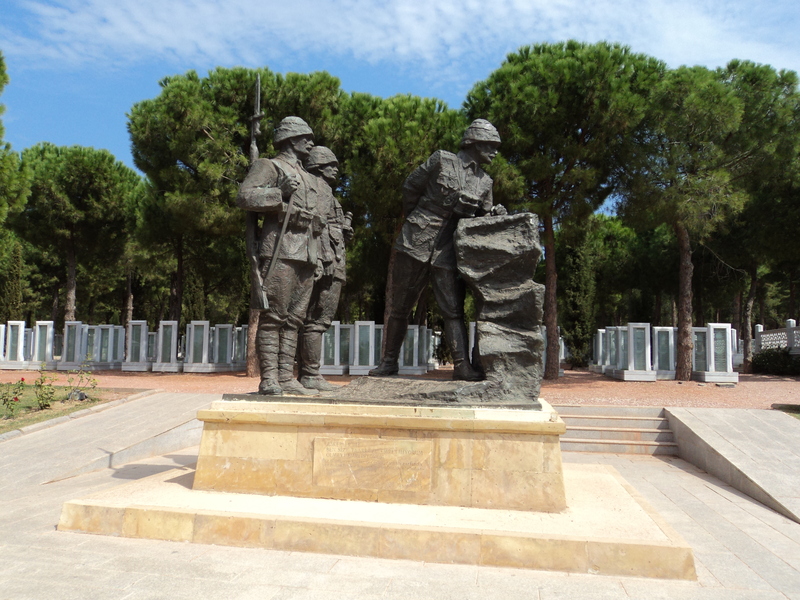 This is the main war memorial commemorating the service of the Turkish Army in the Battle of Gallipoli. 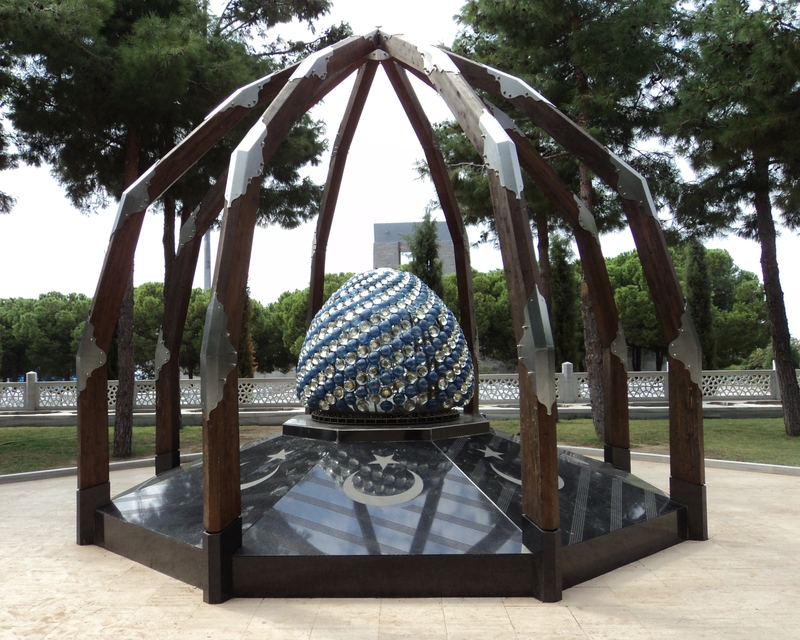 The monument consists of four square columns and the structure is topped with a concrete block measuring 25m x 25m. 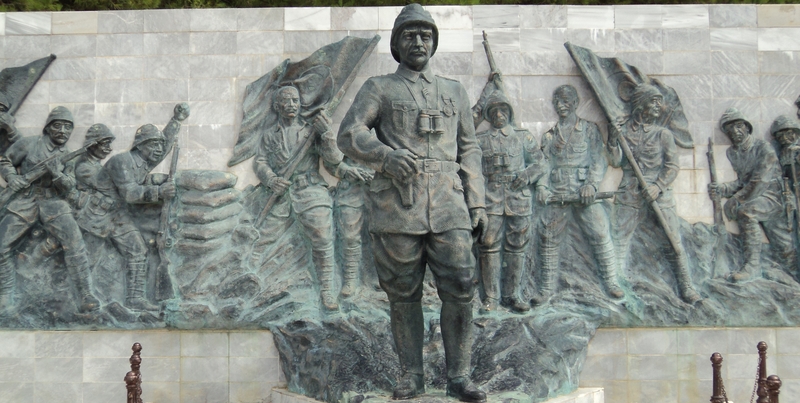 In Turkish the monument is called Çanakkale Şehitleri Anıtı and it was designed by architects Doğan Erginbaş, Ismail Utkular and civil engineer Ertuğrul Barla. 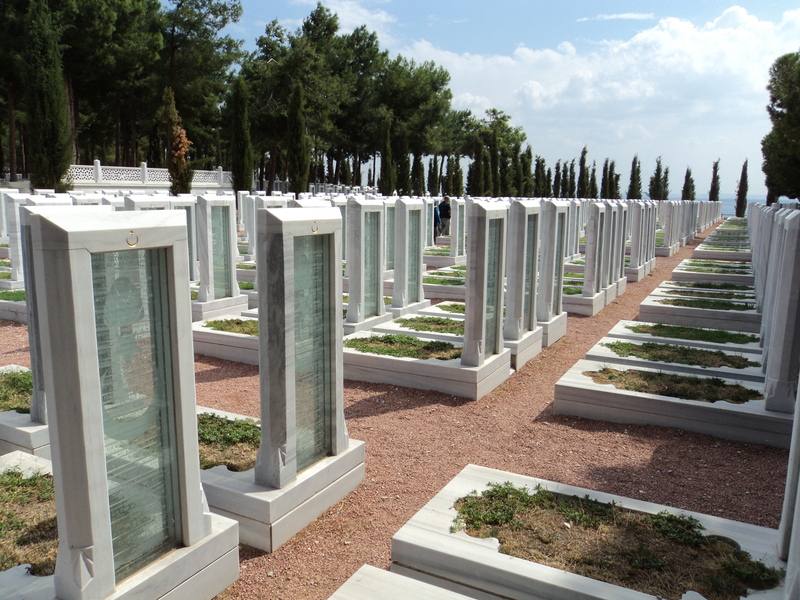 There is a cemetery nearby to the north of the memorial which holds the graves of 600 Turkish soldiers. 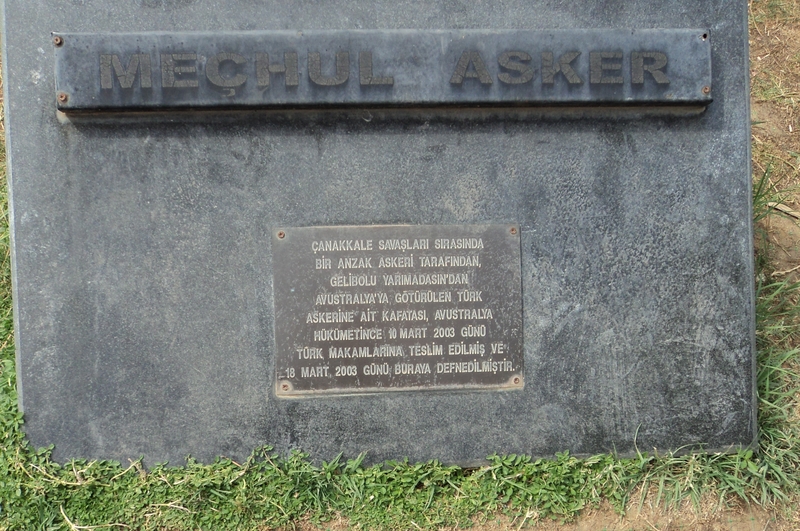 The monument can be seen easily by ships passing through the Dardenelles. 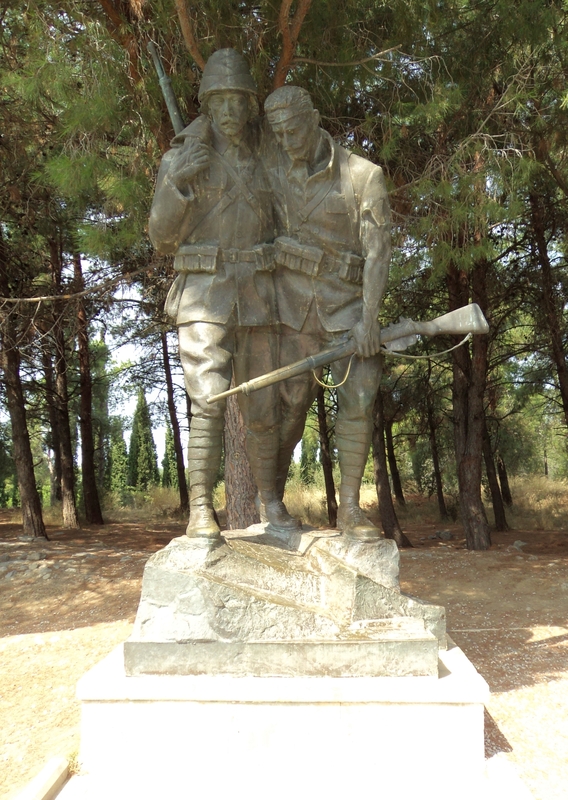 The mummified head of a Turkish soldier which was returned to Turkey after being returned by the family of an Australian war veteran. 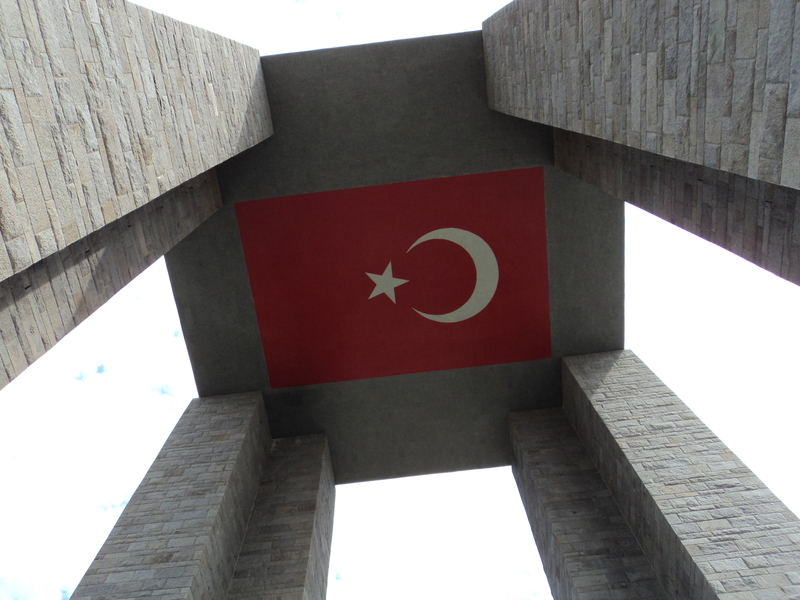 The main Turkish Memorial and its gardens overlooking the Dardanelles is a peaceful and serene resting place for the fallen soldiers.